We are only hiring to existing account customers and are not opening any new accounts. Please note: A charge will be made for delivery and collection of plant. Fuel is chargeable. Insurance is the responsibility of the hirer. 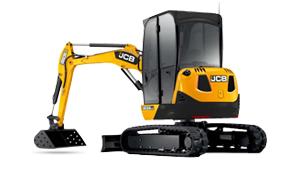 JCB and the JCB logo are registered trademarks of the JCB company. All JCB images are used with prior written permission. Shiner Plant Hire is in no way affiliated with JCB. We collect anonymous information for statistical purposes.